ormer U.S. Congressman Gary Ackerman will deliver remarks Thursday, May 8. Woodbury, NY - May 6, 2014 - Former U.S. Congressman Gary Ackerman will deliver remarks Thursday, May 8 at the sold-out 61st Annual Installation Dinner for the Nassau Chapter of the New York State Society of Certified Public Accountants. More than 390 people are slated to attend the 6:30 p.m. event – whose theme is “Giving Back to Charity” – to be held at the Crest Hollow Country Club, 8325 Jericho Turnpike in Woodbury, N.Y. 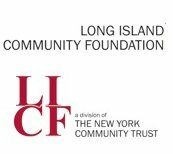 Some 20 local charities – including the Long Island Community Foundation, Long Island Cares, Cooley’s Anemia Foundation, AHRC Nassau and LI GLBT Services Network among others - will receive donations from proceeds from the event which is expected to be attended by a diverse number of Long Island certified public accountants, accounting firms, banks, businesses and financial institutions. Secretary – Anthony Basile, CPA; of Anthony Basile CPA, P.C. The Nassau chapter is one of 15 chapters that comprise the New York State Society of CPAs, the premiere professional association for more than 28,000 certified public accountants residing and practicing in New York State, encompassing all areas of public practice, including in government, education, real estate, technology, healthcare and entertainment. Visit our website, www.nysscpa.org, for more information. Subject: LongIsland.com - Your Name sent you Article details of "Former NY Congressman to Join Nassau CPAs for Annual Installation Dinner to Support Charity"